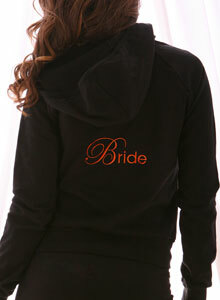 Give the bride sweat suit with great style. 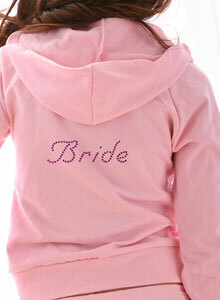 Matching bridal hoodies and sweatpant sets look great as a bridal sweat suit. 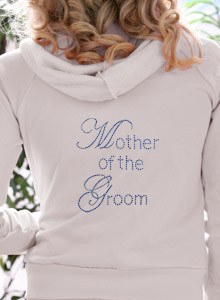 For a personalized touch, create custom with your wedding colors. 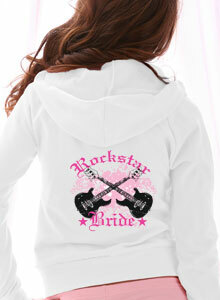 Choose from regular and plus sizes; velour, zip up and pull-over, in colors including white, black and pink. 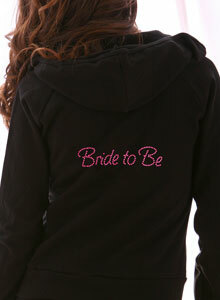 This is the hoodie worn by Bethenny Frankel on "Bethenny Getting Married"
Fabulous wedding sweat suit for the bride sparkles with The Future Mrs.
Monogram embroidered on front left of sweat pants. 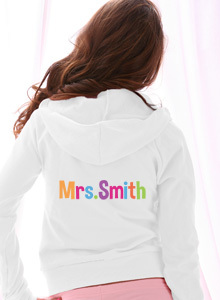 Matches hoodie. 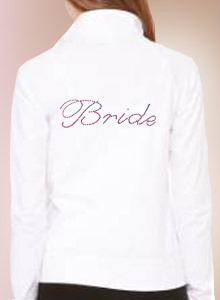 Sweat Suits for the Gorgeous Bride! 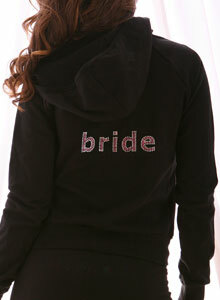 Bling out rhinestone hoodies and sweat pants for a great wedding sweat suit that she will love. 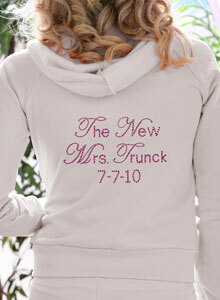 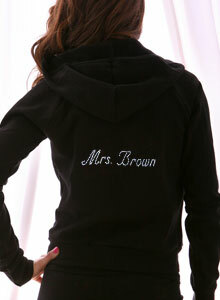 For brides our most popular styles include the Soon to be Mrs. Hoodies and personalized bride hoodies sets. 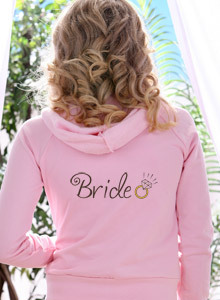 Choose from a variety of regular and plus size bridal sweat suits, including velour, zip up and pull-over, in colors including white, black and pink.